When it’s hot out, one thing I love is to have a nice cold breakfast… Especially since in the morning I take my dog out and go on a short walk with him. When I get back home, I like to have something that’s not only healthy, but will also cool me down from the heat. 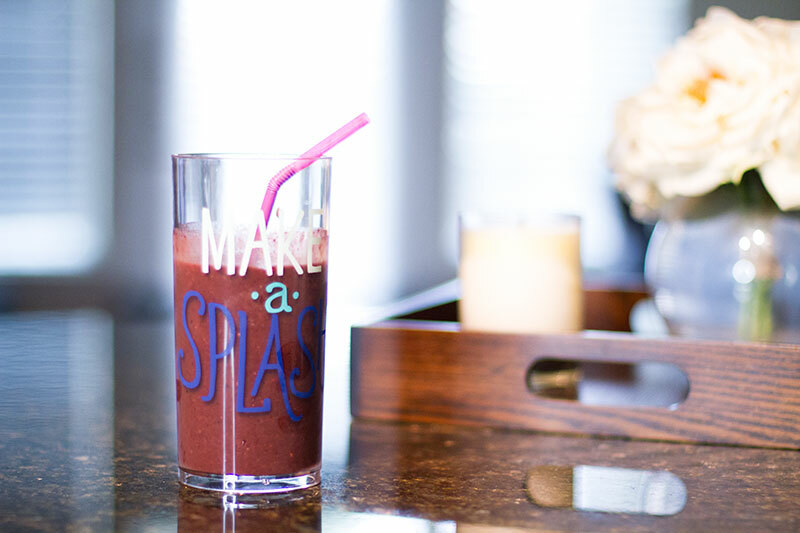 One of my go-to breakfast items for summer is a berry smoothie. About two months ago I invested in a Vitamix Blender and making smoothies is so much easier than before! I got the one with the “to go personal blender”, and to be honest, I haven’t even used the larger 40oz container. The 20oz container is perfect for making my single serving smoothies and is so much quicker to clean than a big ‘ol blender container. I like to stick with berries for my smoothies since berries are lower in sugar than other fruit. I always use Blueberries; they are high in antioxidants, they’re good for your heart and brain, and they are low in calories. Another fruit I always use are strawberries, and when possible I through in some raspberries or blackberries. To give my smoothie an even bigger punch of healthiness, I add a scoop of Amazing Grass Green Superfood (one scoop is full of green super foods and lots of vitamins and minerals). 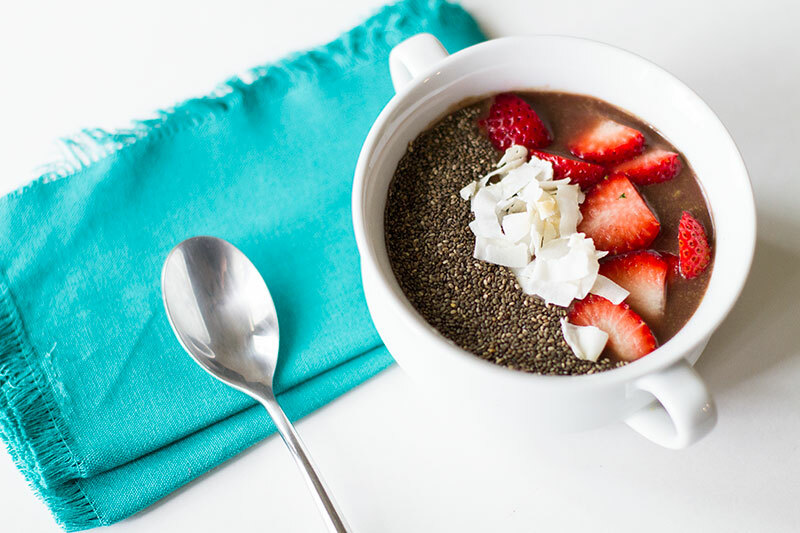 A new favorite breakfast are acai bowls. It’s like a thick smoothie (I’m still working on getting the consistency of it right) in a bowl and you can top it with pretty much whatever you’d like… Think granola, fruit, nuts. 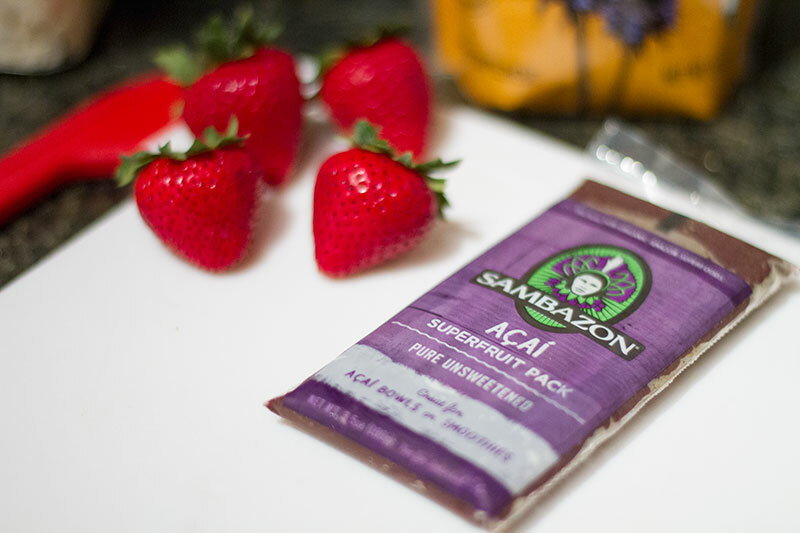 I use an acai fruit pack that I get at Whole Foods, and just use the recipe on the package.